Rob writes: As fall migration is winding down here in central Indiana, I have decided to follow the birds south. How far south, you might ask? 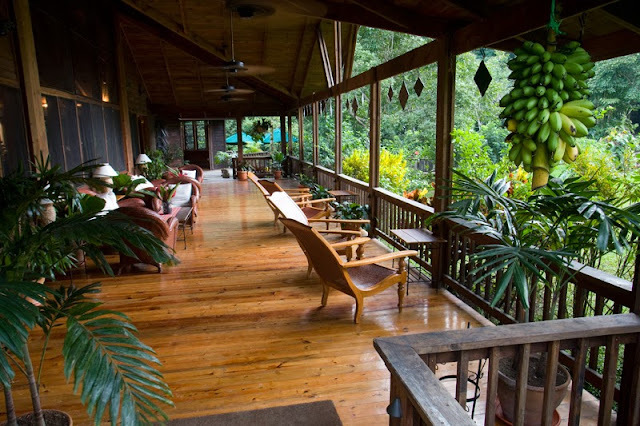 I will be heading to the Lodge at Pico Bonito in La Ceiba, Honduras for a week during the middle of November. This will be my first birding trip in Central America and I am extremely excited to get down there. Brian Zwiebel, Greg Links and I will be filming for a birding show that we are working on and also scouting for upcoming Sabrewing Nature Tours trips to the area. We will be announcing dates for 2014 soon so be sure to check here for updates, http://goo.gl/gWdTNu! Can't wait to be sitting out on this porch in just a few short weeks! One of the first things that I always do when going on a birding trip is to look for a list of possible species for the location. For this trip, the Lodge at Pico Bonito has a great list of the possible species that I was able to download from their website. I've been going over the lists of possible species and while having the potential to find over 150 life birds is awesome, it is also a little intimidating. That's over 150 species that I have to learn before I head down there! So, how in the world have I been preparing for the trip? After printing the list of species for the area and realizing how few of the species I was familiar with, I looked for the appropriate field guide to study. It turns out that Honduras does not have a field guide that is specific to just Honduras yet. 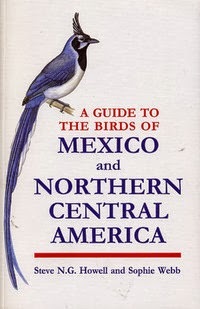 The best book that covers most of the species found in the region is A Guide to the Birds of Mexico and Northern Central America . While this covers almost all of the species we are likely to see, it is also good to supplement this book with The Birds of Costa Rica: A Field Guide to cover any of the species that might be missed by the other book and to give you more illustrations of the birds to study. I always feel that the more resources I can pull from, the more prepared I am for a trip. In addition to learning what the birds look like, it is just as important to try to learn their songs and call since many of the birds I see are found by listening first. As is the case with many countries, there is not a CD to go buy with all of the songs and calls for the birds in Honduras. I found that the most effective method of finding the songs and calls that I wanted to study was to download them from Zeno-canto. This site is dedicated to sharing the bird sounds from all over the world and covers a very impressive 8,730 species worldwide. While it does take awhile to go through all of the songs and calls for a particular species and download them all, the results from studying these recordings can have a huge impact on your trip. Stay tuned for another post about preparing for a birding trip such as my upcoming Honduran adventure. The amazing Keel-billed Toucan that we hope to film during our trip. Thanks to James Adams and The Lodge at Pico Bonito for all of the photos!